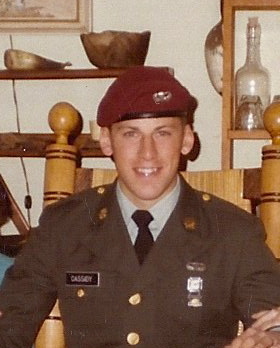 Jim was a parachute rigger for Special Forces at Fort Lewis 1984-87 . In 1998 he noticed weakness in his left hand. He was diagnosed with ALS in 2003. He went on a ventilator in Feb of 2011. His goal is to see his 2 boys grow up. Jim is now home, being cared for by his wife and caregivers. He uses a power wheelchair, a computer for his speech. We have been very fortunate in that we receive VA compensation and had their financial assistance with equipment, a van, an addition and nursing care. God bless our troops and we thank our veterans for their service to our country! 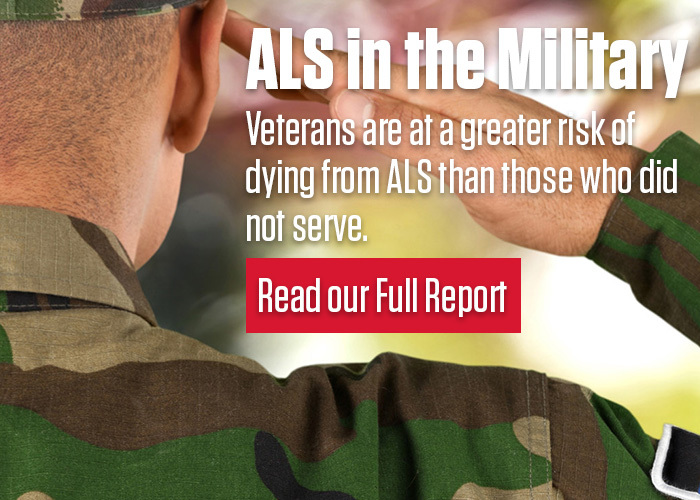 If you are a veteran, or the survivor of a veteran who has been lost to ALS, click here to post your story to the Wall of Honor.